Valentine’s Day Facts and Crafts is a collection of resources which may be useful next month for projects, general conversation, or even a mini topic! 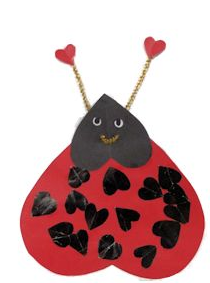 Kiddyhouse.com has a page of Valentine’s day crafts which may be useful or give some new ideas. 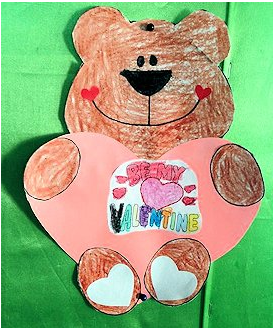 I like the Valentine puppet and the 4 year old Valentine Bear! Kiddyhouse.com has the history of the festival in a large font and it would certainly be able to be shared on the IWB; however, rather oddly I thought, though the font is huge, the language is no easier than any other adult readable page… strange! Significant persecution, interrogation, persecution etc are hardly storybook words. The Animated History of the day in cartoon format, towards the bottom of the page is simple, and safe enough for use in school. There is also clip-art, worksheets and colouring for the younger children, songs and poems and stories. 75 Valentine’s Day Crafts for Kids again may offer some interesting new ideas for creating in school. This site is a collection of crafts from all around the web, each idea takes you to a different site for images and instructions but it is a great starting point for ideas.